Enjoy Two Courses from our Parisien Menu for only £25 per person. Dine downstairs in Le Café & receive a bottle of House Wine. Available Sunday - Friday from 5pm. Café Parisien are proud to support #YourBelfast. 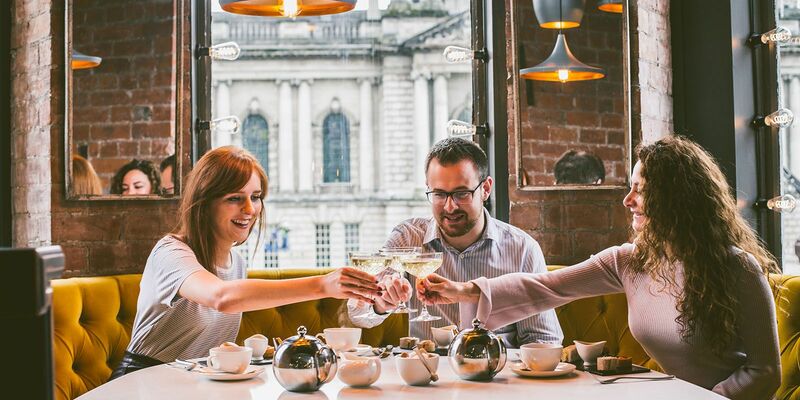 So much so, we are offering a FREE glass of blanquette de limoux with Afternoon Tea when you quote #YourBelfast. What sweeter way to celebrate the City we call home?